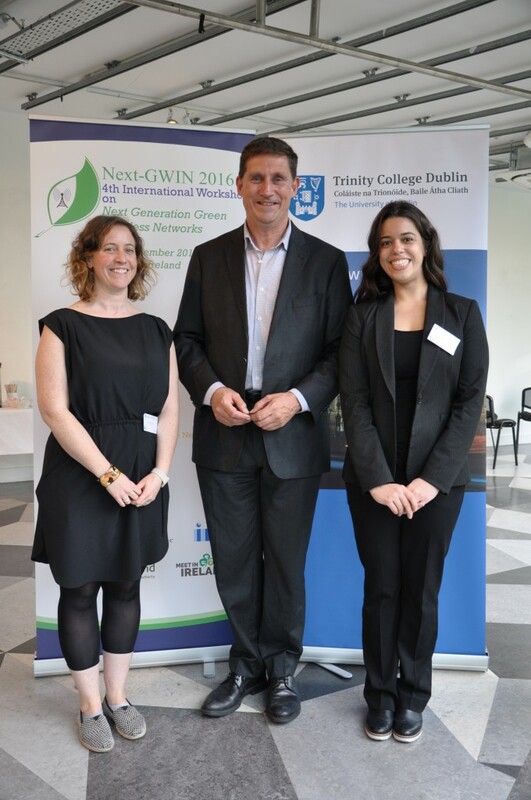 Leader of the Green Party, Eamon Ryan, TD, chaired a public debate, “There is no such thing as Green Communications”, at the Science Gallery as part of the 4th International Workshop on Green Wireless Networks (Next-GWIN), hosted by CONNECT, at Trinity College Dublin. Speaking in favour of the motion were Professor Linda Doyle, Professor of Engineering and the Arts and Director of the CONNECT Centre at Trinity College and Professor Lajos Hanzo, Chair of Telecommunications at the University of Southampton. Professor Sofie Pollin, Assistant Professor at KU Leuven in Belgium and Dr Brendan Jennings, CONNECT Funded Investigator at TSSG in Waterford Institute of Technology, took the opposite view. “We would like to see the communications industry take a much broader view of Green possibilities,” Professor DaSilva added. “In the ICT world Green is typically associated with energy consumption issues. What would green communications look like if more attention were given to issues such as the use of raw materials in the stages of production and the accumulation of electronic waste as a result of consumer activity?